Last week, the supermarket chain unveiled new in-store recycling bins for its customers to dispose of their excess plastic waste. The move is part of the supermarket chain’s targets of 20 per cent less plastic packaging by 2022 and having 100 per cent recyclable own-brand packaging by 2025. Environmental group Friends of the Earth (FoE) said that the recycling stations set to be installed in Lidl stores are in conflict with My Waste Ireland’s new recycling list. The recycling guide introduced by Environment Minister Richard Bruton TD was devised to tackle contamination in recycling bins. My Waste Ireland guidelines indicate that not all “clear plastic is recyclable”. 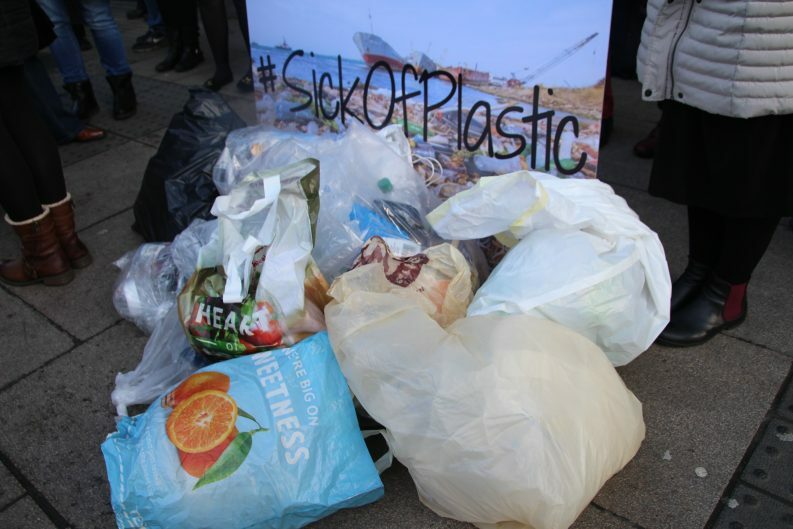 Claudia Tormey of Sick of Plastic warned that Lidl’s new bins have not taken this information into account. Acknowledging the supermarket’s eco-friendly intentions and commending their commitment to protecting the environment, Ms Tormey called on Lidl to stay in line with the country’s recycling recommendations. In a statement to The Green News, Lidl Ireland said that minimising single use plastic and other packaging is a “core objective” of the chain, with the introduction of in-store recycling stations the “latest step” on the “journey to tackle the important issue of plastic waste”. “Clear guidance on what items can be recycled will be displayed on all recycling stations that will be introduced to all stores in the coming weeks to avoid any confusion for consumers,” the statement continues. The supermarket has also increased its loose fruit and vegetable range and continues to “test and trial the removal of packaging throughout the range”, the statement reads.